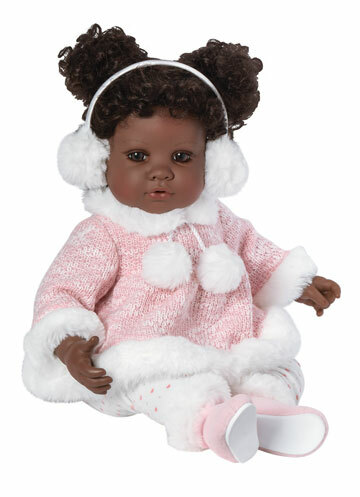 Adora's irresistible toddler and baby dolls are meant to be ADORED and last a lifetime! 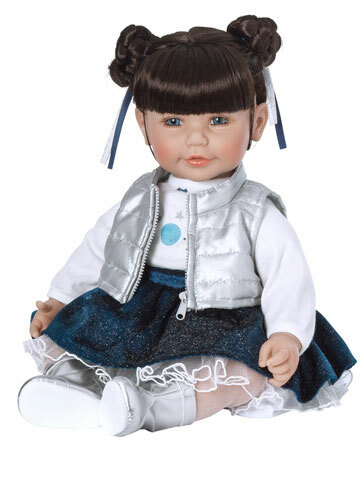 From their beautifully detailed outfits to their sweet faces, each Adora doll is sure to steal your heart. 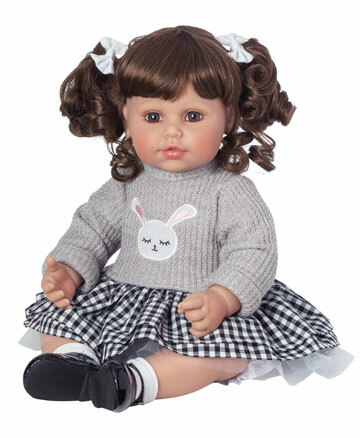 Amazingly lifelike and designed to inspire hours of play, they are exceptionally well-made and embody all the high-end qualities you would find in a fine collectible doll such as hand-painted faces, hand-applied eyelashes, premium quality fashions and more. Fun is important, but safety is also Adoraâ€™s top priority. Play with peace of mind that all products have passed U.S. and EU testing as well as their own high quality requirements. 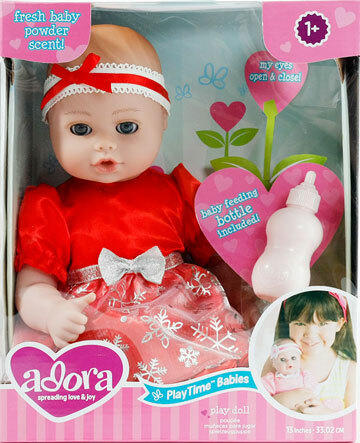 Adora dolls have cloth bodies with vinyl limbs. They are perfectly weighted for a realistic feel in your arms. 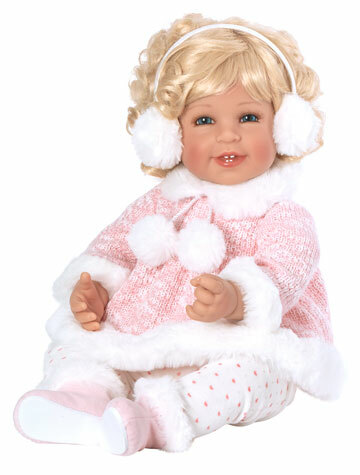 High-quality vinyl limbs are softly scented so they smell like a real baby. 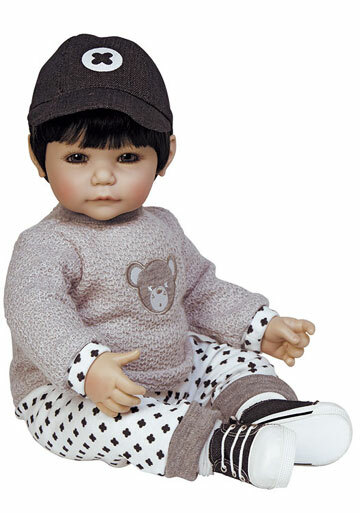 There are no harmfull substances used in their creation including no Bisphenol A (BPA) and no phthalates. 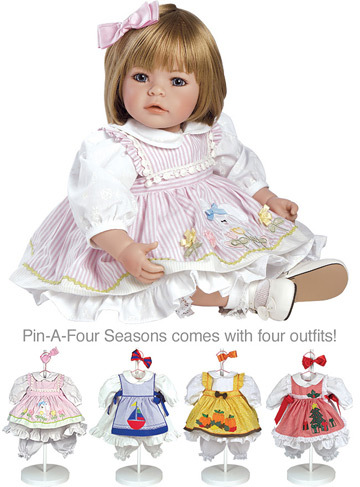 Adora's award-winning artists apply their unique talents to doll creations that reach an unexpected plateau of beauty and imagination. 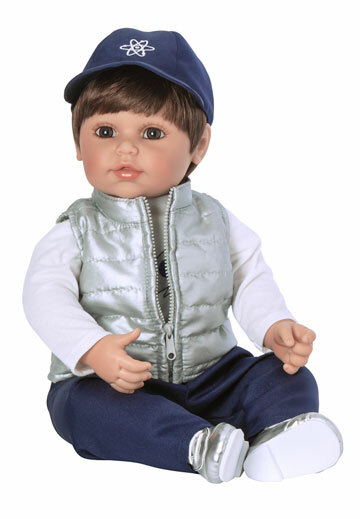 Their dolls are designed to encourage nurturing and creative playtime but they can also go on real life adventures, too. 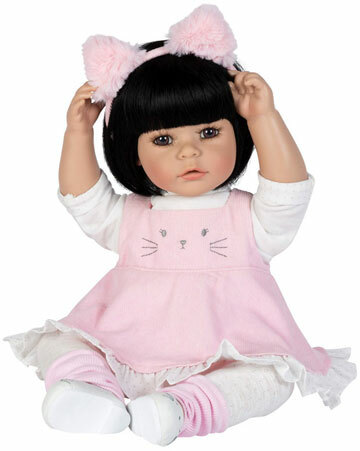 They have been recognized by many award organizations in the toy industry. 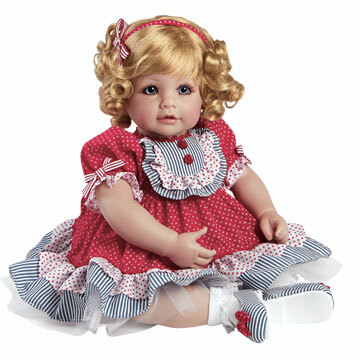 Their list of accolades from over the years is quite impressive: Best Creative Fun, Preferred Choice, Best Classic Toy, DOTY Best Children's Play Doll... are just to name a few! 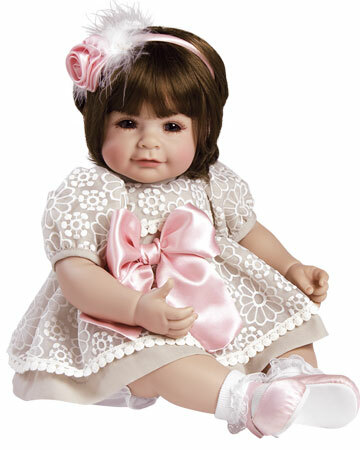 A fine doll is a very special friend indeed! 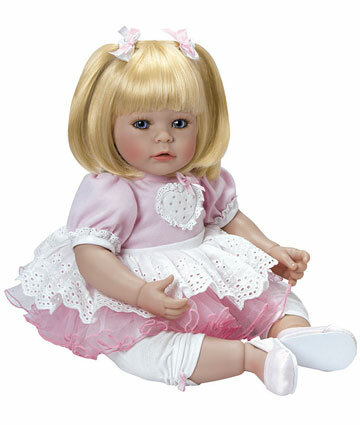 Adora dolls are designed and crafted to be that special companion you'll enjoy for many years.